When people discuss the important figures of history, they often mention the Davincis and the Rembrandts, the Darwins and the Marxs, the Napoleons and the Washingtons (both George and Denzel), while glossing over or completely forgetting about one of the most influential and notable people of all time—Henry Ford. If it weren’t for old Hank, we’d still be walking everywhere, oftentimes uphill both ways. The original titan of industry, Henry Ford didn’t create motor vehicles as we know them, but rather made them readily available for everyone (from the richest king to the poorest peasant).  His company, Ford Motors, has been the driving force behind countless innovations, and continues to look toward the future. But for now, let’s take a look at Ford’s past. Henry Ford’s first vehicle, a four-wheeled bicycle called the quadricycle, never took off the way he hoped it would. Perhaps the political climate was all wrong, or perhaps people just enjoyed riding penny-farthings too much. But that didn’t stop Henry, who had a knack for the mechanical; legend has it his father had given him a pocket watch in his teens, and he regularly took it apart and reassembled it. Like the other great inventors, Jobs and Gates and Edison, he worked on his projects at home in his garage. Was he drinking beer at the time? We assume so, but records from that time in history are spotty at best. What we do know, is that after finally convincing a group of investors to help pay for his “crazy idea”, the Ford Motor Company incorporated on June 16th, 1903, and Fordism, a system of creating low-cost goods while paying workers enough money to actually buy the goods they produced, was born. While there was a number of different models produced by the Ford Motor Company, it wasn’t until 1908 that the Model T was introduced. The most popular Ford vehicle yet, demand drove Mr. Ford to figure out a way to produce enough Model Ts to keep up with the public’s interest. Always a keen problem solver, by 1913 Ford had almost perfected his process of assembly line creation and mass production. When the first World War broke out, Henry Ford went on peace missions abroad and supported the United States in their war effort by creating military vehicles. During this time Ford took his process to a series of factories around the world, revolutionizing the industry—automakers that didn’t adopt soon couldn’t keep up, and the 200 U.S. car makers in 1920 shrunk to only 17 in 1940. The war proved very successful for Henry Ford despite being a pacifist, and by 1916 the company was in possession of an enormous surplus. Ford leveraged this success into complete control of the company in 1919, and Henry’s son Edsel became the president of the company (although Ford was still active in the decision making process). In 1922, Ford decided to dip their toes into the luxury market by purchasing the Lincoln Motor Company; in 1938 Ford established the Mercury division of the company, to bridge the gap between the two brands The roarin’ 20s saw the company spend both wisely and foolishly—a museum of American History, The Henry Ford museum, opened up by in 1929 and is now home to such important artifacts as the chair Lincoln was shot in, as well as the limousine that John F. Kennedy was shot in. And that’s how they spent their money wisely! In 1928 Henry Ford negotiated a section of land from the Brazilian government to harvest rubber but, between an inability to produce rubber and unrest of the social and labour variety, the settlement failed and ended up completely deserted by 1945. Even a brilliant company like Ford was in tough against the Great Depression, and major cuts to the business were inevitable. However, once World War 2 rolled around and neutrality was repealed, the Ford Motor Company once again saw its stocks rise—although they tried to steer clear of supporting any sides in the war, and Henry Ford initially vetoed a plan to produce for the Allies. After Pearl Harbor, the Ford Motor Company run by Edsel Ford (who was not a pacifist like his father) began to help mobilize the the Allied troops. Producing astounding numbers of vehicles, parts, machine tools, and gun mounts left Ford ranking third for wartime production contracts. In 1943 Edsel Ford died, and a then 78 year old Henry Ford, who suffered from both mental and physical ailments, took over. Internal strife proved to be quite the challenge to the family’s stranglehold on the company, and Henry Ford’s wife and daughter-in-law told him that if he refused to turn over control to Edsel’s son, Henry Ford the 2nd, they would sell their shares. Cooler heads prevailed and, “Hank the Deuce” as he was known ran the company. Over 5,000 people an hour visited Henry Ford’s private viewing, after he died on April 7th, 1947. A series of shifts in management occured in the late 40s and early 50s and, in 1956, Ford became a publicly traded business—though the Ford family still owns around 40% of the company’s shares. The company once again fought through the highs and lows of business; the Thunderbird was an incredible success when it was introduced in 1955, while the Edsel flopped in 1958 despite featuring a $250 million dollar research and marketing campaign. For scale, 250 million in 1958 is over 2 trillion in today’s currency, accounting for inflation (and they thought Waterworld was a bust)! By 1964, one of Ford’s most iconic and enduring vehicles, the Mustang was released, and once again the Ford Motor Company was the envy of the automotive world. A short year later and Ford sold its 2 millionth vehicle. You can’t stop a train like the Ford Motor Company when it starts moving, and the 60s and 70s saw a number of other iconic Ford vehicles released, like the Ford Bronco and Fiesta. It was business as usual for the Ford Motor Company, releasing new models and technologies as well as investing in and divesting from many major automotive brands, right up until 2003 when Ford celebrated its 100th anniversary. Special centennial edition Ford vehicles were released to commemorate the occasion. Since turning 100, the Ford Motor Company has continued to push on and exhibit the same spirit of inventiveness that the company was founded on. Today, Ford is an industry leader and one of the foremost names in automotives—and on track to thrive for another hundred years and more.